Latow members are fortunate in that, unlike most camera clubs, Latow has it's own 1,100 sq. ft. photography studio complete with a wide variety of studio equipment including LED continuous lighting, studio flash units, reflectors and backdrops, both muslin and seamless paper. Members who have been checked out and certified in the safe operation of the equipment may book the studio for their own projects. Please see the Studio Group leader for more details. The Studio Group provides members a tremendous opportunity to gain experience photographing everything from people to small and large studio still lifes. We will spend the evening discussing and demonstrating this essential item for your toolbox. Sarah Spencer an experienced model from Mississauga will sit for us so don’t forget your camera! The evening is coordinated by James Elliott. At the AGB in the Latow Studio (7:30pm-9:30pm). We'll be exploring the fundamentals of studio lighting from a theoretical perspective. Cameras are not required. The evening is coordinated by Dave Fernandes & James Elliott. The slides from the presentation are available for download from the studio group download area. The evening will involve our members in learning about a "Beauty" type of portrait that one time evolved from the fashion shooting trends and styles as a distinct genre. We will have an internationally published model and a pro makeup artist to set us up for the session. 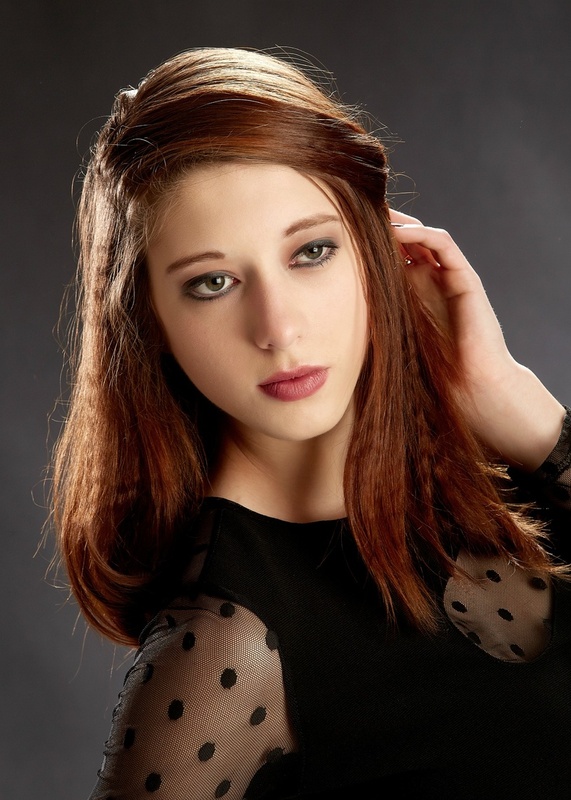 Our model for the evening is NevadaCaitlyn and Aleeza Jawed (Chick Beauty) will do a makeup job for us. Bring your camera with you as we will open the session for a brief shooting. The session will be run by Dave and James. The session will focus on lighting and posing for a couple of models, we have Avryl and Paula invited to play with a couple different setups and lighting styles. Bring your camera with you for an opportunity to shoot a couple nice pictures. The session is coordinated by NJ. Latow studio group is meeting again on evening Jan 24 2017. If you are bored using traditional lighting styles we will try to make a fun lighting up our model with projected patterns. We will show you how to do it but come with your own creative ideas for this fun night. Bring your camera as we will have a model to sit for us. The session is coordinated by NJ. Please visit NJ's pinterest collection of inspirational examples from other people work on the web. There are a couple pics below we have tried at our test run with Craig and get some good feel about the tricky part of the technique but we need more job to fine tune the tools. Our first drop-in night this season will be run on Dec 8 @ 7:30 pm – 9:30 pm. Studio group members may sign in with their project or just come in to practice their portraiture skills. We will provide model - this time Allison an experienced model from Hamilton will sit for us that night, NJ and Dave will be there to guide, help or assist you if needed. We will also have a guest Sara from Burlington - she's a photographer and a model so seems like we will run strobes and LED setups in parallel. At this Studio session we will play using color gels when shooting portraits. We will present a couple of ideas how to creatively use the gels and mix colors. We will try gels with strobes and our new LED continuous lighting. Bring your own camera as we will have Victoria modeling for us for the evening. Collection of shots from the session provided by the event participants. Short Workshop style Studio Group session with Aleah McCallum as a featured model. Selection based on photographers contribution.